not life altering i realise ;) but about all i can manage this morning...one of those mornings people...! 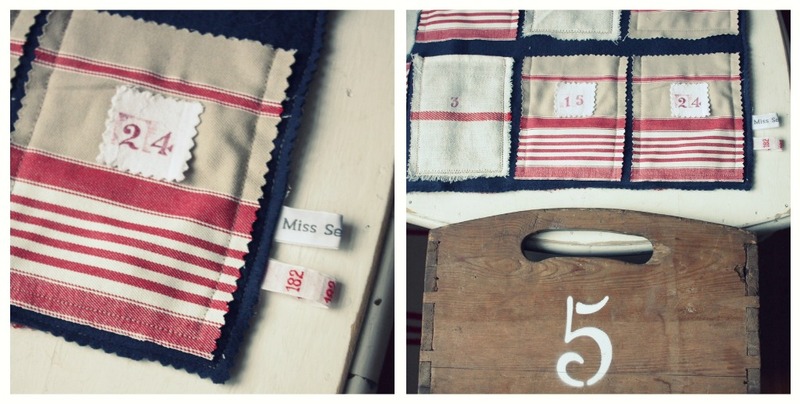 What a gorgeous advent calendar and what a lovely tribute to your friend. So much to be grateful for in this life. Ps my thoughts go out to not only you but her family, especially her children. I will think of them when I sneak in to check on mine before bed tonight. Poor little darlings to lose their Mum. I'm really sorry to read about the mother from your school Melissa. When a young mother is lost it makes you stop in your tracks a bit doesn't it? It happened here in our school during the year as well and there were many times after that I just wanted to stop everything, find my girl and give her a big huge hug. Thank you for the reminder. I can't believe you are coming home!!! To my neck of the woods! I totally understand your torn heart though. Safe travels. Such a lovely tribute Melissa, such sad news, but a lovely way to remember her. you are such a beautiful person...inside and out. i love your pockets. happy december, friend. love how it is portable! oh, so sad to hear about children losing a mother and a mother leaving her children too soon, breaks my heart. we all need to remember that every day is a gift, it truly is. naturally, your advent calendar is gorgeous and so timeless looking, i love it that all three of your kids still look forward to the calendar, that makes me happy to hear. have a wonderful day, friend. love that little advent calendar - those red coastal stripes are great! And mixed with the french numbers...perfection! so sorry about your friend. we are going through a similar situation and it is so heartbreaking. Mothers should never die, it's just not fair. I hope her children manage to get through this tragedy knowing that she is watching over them still. I do love your new Advent Calendar. Nice big pockets to fill with goodies. Remember we have to keep them out of the sun over this side of the world! I do think your stamped numbers are brilliant. All your stamping makes me smile. 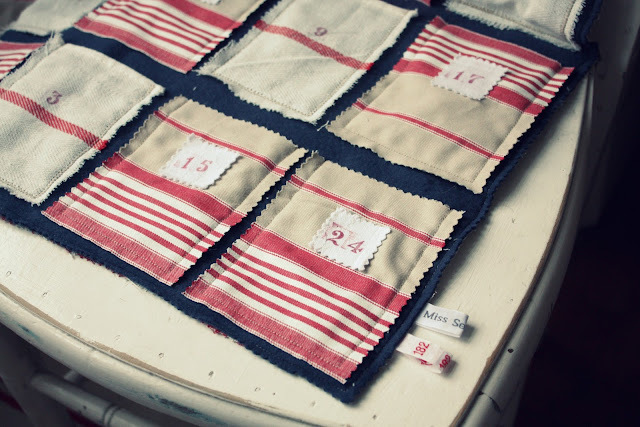 You are such a lovely mama making this for your children when you have so much on as it is. 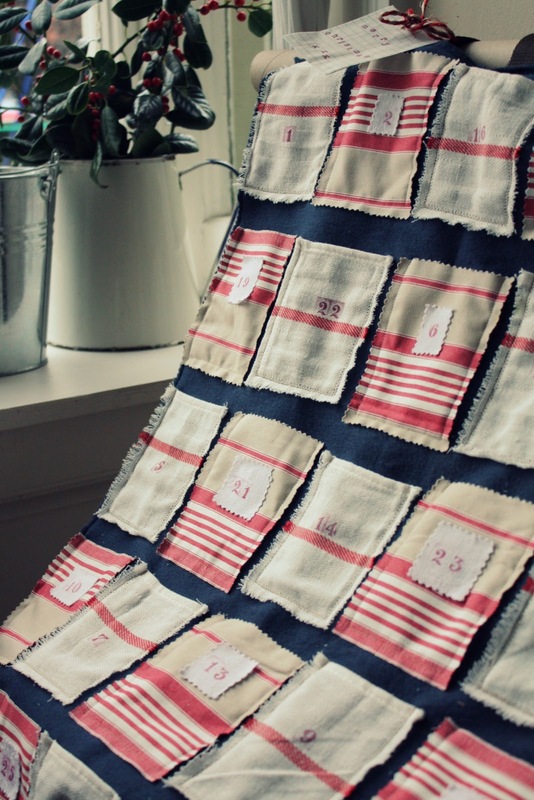 Such a beautiful advent calendar Melissa! Love it! I think it is a really special way to enjoy Christmas as a family, especially during the big move etc. Now...if I could just borrow some of your sewing prowess....perhaps I would have finished all my little sewing projects by now...rats! So sorry to hear about your friend Karen. It really makes you stop and think and realise how fleeting life is and how precious our little ones are. 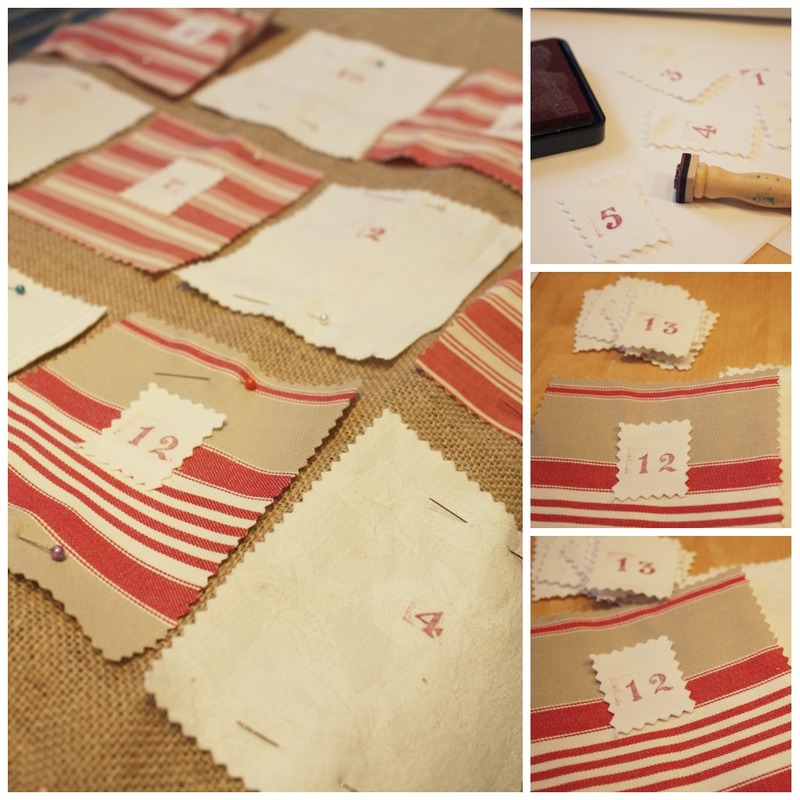 I just love your advent pockets, the stamps are such a great idea! 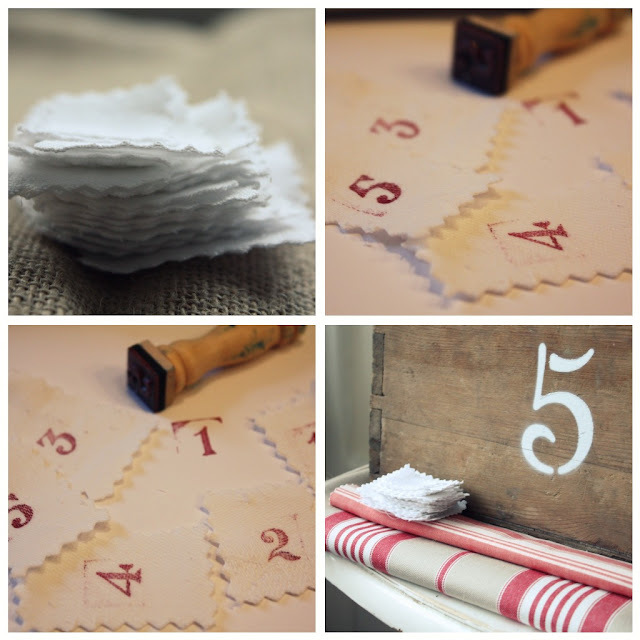 There is nothing nicer than a home made advent. Here's hoping that all the cold weather we are experiencing here in Australia clears before you return!!!! Your advent calendar is perfect. Love everything about it. I can't believe you're headed home so soon. How exciting! I'm so sorry to hear about your friend. We lost a mom right on our street just over a year ago and it still shocks me to my core thinking something like that is possible. Love your tribute to her. An incredibly poignant post. I'm sorry to hear about your friend, Karen. Yes, Christmas especially is a time to reflect on relationships with loved ones and the meaning those special people bring to our lives. Your advent calendar is very pretty and is so wonderful you are able to open the days of the calendar in different countries altogether! Imagine the memories the calendar will bring your family in years to come! Hi Melissa, your advent is gorgeous, and makes me feel especially guilty about being a little on the slow side to fill ours!